Disney — I can imagine what comes to everyone’s mind when we hear someone say, Disney. Toys… more fantasy…. the beautiful world for all ages… While most of the toys or our imagination will fade out sometimes, as new things start pop up so often. Here comes the Slinky, the pre flattened coil of wire or plastic; which can walk on its own and has entertained children and adults for over 70 years. Therefore, it is not surprising to hear that every month on August 30th, people across the United States celebrate this iconic toy with a National Slinky Day. 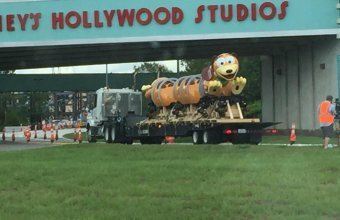 However, this year the people at Disney have made this event more special by introducing the new Slinky Dog Dash roller coaster at the Hollywood Studios theme park at Florida’s Walt Disney World Resort. While the family ride has been added with two new attractions and themed by Andy Davis, it was inspired by one of the main characters Slinky from the Toy Story movies, he created it in his backyard using his Mega Coaster Play Kit. This is all set to open in Summer 2018. Main attraction draws creativeness from the film’s dachshund, who has a metal Slinky for a body. Though, it is designed to take full advantage of the coils, assuring riders a thrilling journey, which completes with sharp drops and sudden turns. 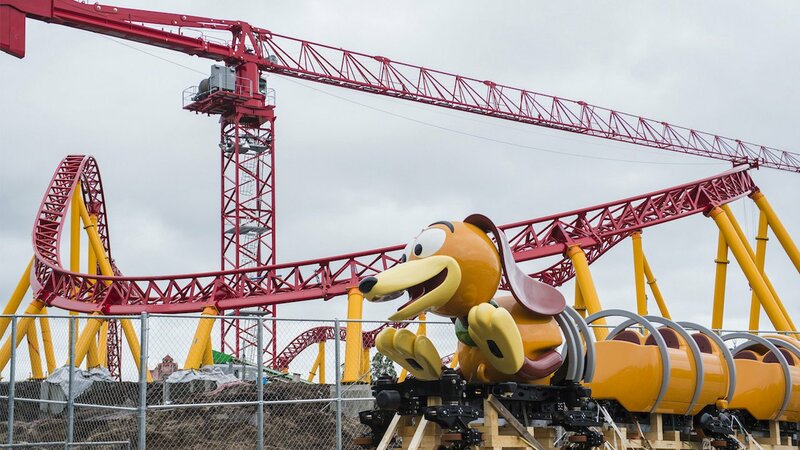 The Slinky Dog Dash will be one of two new rides to excite the park visitors that are looking forward to the newly expanded Toy Story Land. If you do not know anything about the second attraction, it is inspired by the Alien Swirling Saucers, this attraction is themed to a Pizza Planet toy play set with Aliens circling around in their flying saucers with rocket ships. Like many great creations, the Slinky was invented accidentally. In 1943, Richard James, a naval mechanical engineer who was trying to create a spring that would keep gentle ship equipment stable at sea. One day, he unsuspectingly dropped some samples off of a shelf and watched them in astonishment that they landed gracefully, with a “spring” in their own steps, instead of crashing directly on the ground.